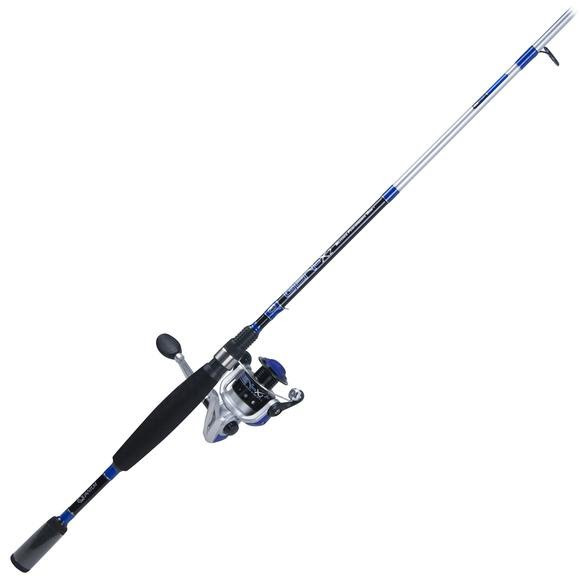 Quantum Gen-X2 spinning combos feature an all-new high-modulus graphite rod with a sculpted, split-grip EVA handle and lightweight DynaFlow™ aluminum-oxide guides. The Gen-X2 reels are loaded with features including an anodized aluminum spool, 4 bearings(3 + clutch), stainless steel bail wire, solid brass pinion gear, TRU-Balance™ rotor design, and much more. I bought this combo with a gift card on amazon and hoped it would be as great as it was listed as, but upon delivery I noticed some problems. It wasnt tested or even checked before it was shipped, as if they grabbed it from a pile of returns and thrown in the mail. The handle wouldnt turn at all, I almost snapped it off while trying.. I took it apart to see why and it was missing some screws that held the gears in place..